Advertisements for eCommerce shopping cart software applications abound online, making it difficult for a newcomer to pick his or her way through the jungle. This article points out the important things you need to know about selecting ecommerce shopping cart software for your website. A shopping cart can be your entire website. It can also be a module, plug-in, theme, or application that you add to an existing site. Which is better partly depends on whether you already have a website you have already invested a lot of work in and how difficult and costly it would be to add a shopping cart to that with the functionality that you need. A shopping may be delivered by a download to your home computer, by an upload to the server where your website is hosted by a web host, or in a box that is shipped to you. “Free eCommerce shopping cart software” can mean a lot of different things. On the one-hand, it can be a limited, unsupported, as-is software that may only allow a limited number of catalog items, and has little flexibility to brand for your business and no room for your business to grow and expand. It can also be a free download—for example from Simple Scripts or Fantastico De Luxe—that comes with the cost of web hosting. Or it could be the same downloads that you get directly from the developer’s site that you install yourself on your own server. There are also shopping carts that are advertised as free but actually require a hefty monthly subscription fee. Some shopping cart software can be set up by a novice in a couple of hours. Other shopping cart software (sometimes in conjunction with the needs of your site, particularly a preexisting site) may require hours of developer work by a skilled programmer to function as you want it to. Shopping cart software may integrate well with your catalogue of products, your customer list and email program, payment sites like PayPal and Google Checkout, and your shipper’s software . . . or not. Shopping cart software may fit in with the sites you can build from the web builder software that comes with your web hosting plan, or it may be specially made to fit with a website built with another application (often a free, open-source application) like WordPress, Drupal, Joomla!, etc. 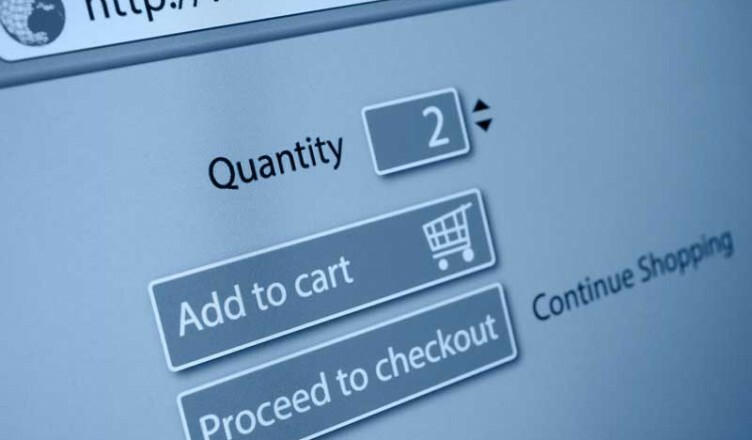 If you want support with your shopping cart software—and unless you are a programmer, this is probably a very good idea, since you’re staking your income on its functionality—you may have to pay, either by purchasing the shopping cart plug-in, widget, theme, or application, or by signing up for shopping cart web hosting, like that offered by GoDaddy. A shopping cart software application may be limited to PayPal payment or be capable of linking with SSL Certificates, merchant accounts, a payment gateway, etc. When shopping carts have limitations, these are some of the elements that are often limited: the number of sites you can use them on, the choice of color schemes, the operating system(s) they are compatible with, the ability to change layout, the number of products that can be added, the number of images and amount of text that can be used with a product, the ability to have a blown up photo as well as a thumbnail, the ability to add multimedia, the ability to have various types of sales, discounts, and coupons, the ability to remove the creator’s copyright notice from each page of your website, the ability to import and export information, the ability to generate a squeeze page, the ability to offer downloads (whether paid, free, or both), the SEO elements that you have control over, whether the manual comes with or requires paying extra, and whether there’s any warranty, Paying extra may change some of these, depending on the software. When you contract for a shopping cart created by the web host—like the GoDaddy line of shopping carts—it allows you to start small and grow your store, while being assured of having support for your crucial ecommerce functionality. The differences between the levels of service in the Economy, Deluxe, and Premium levels of the Quick Shopping Cart include differences in: the number of products you can show, the number of images per product, the amount of disk space, the amount of bandwidth, the amount of free Bing/Yahoo Search credits, and the ability to have product-specific coupons.